Members of the hibiscus family, mallows are tall, bush-type plants that produce bright, colorful blooms all summer. According to the University of Arkansas Cooperative Extension Service, mallow plants grow well in full sun, with a healthy watering during dry spells. These plants are, however, susceptible to their share of diseases. Bacterial leaf spot, scientifically known as Pseudomonas cichorii, is a bacterial disease that affects the leaves of mallow plants. Around 120 different types of bacteria can instigate this disease, and it is almost impossible, to determine which organism is at fault. The signs of this disease are light and dark spotting and black or brown lesions on the upper sides of the leaves. Spots can vary in size and may be surrounded with circular rings. The spots may band together to form enlarged blotches if the disease goes untreated. The leaves may turn yellow and defoliation can occur. Prevent this disease by keeping your mallow’s foliage dry. Always water at the base of the plant, never from overhead. When planting, leave space between your mallow plants to allow for air circulation. Overcrowding creates the perfect environment for disease. This disease, scientifically named Botrytis cinerea, is common to herbaceous plants like mallow. Caused by a nonspecific host, this disease thrives on wet plants. Under high humidity and cool weather conditions, gray mold can take hold on your plant in as little as 20 hours. According to the University of Illinois extension, gray mold can affect both the leaves and buds of mallow plants. If you notice brown areas or lesions developing on the midsections of the plant's petals, Botrytis cinerea is the likely culprit. Once infestation occurs, this disease is hard to treat and can ultimately lead to plant death. Preventative measures are best with this disease. 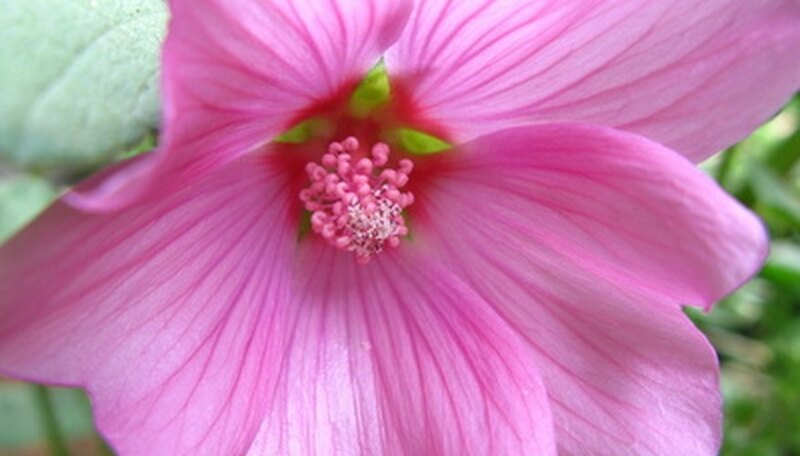 Prune any affected leaves and buds from the mallow, and remove any infected debris from the base of the plant. Phytophthora blight, a fungal disease, is typically caused when the soil becomes waterlogged, or saturated so thoroughly that it cannot drain in a reasonable amount of time. Overwatering is the main cause of Phytophthora blight in waterlogged situations. This disease affects the vascular system of mallows and causes wilting of the blooms and foliage. Prevent Phytophthora blight by not overwatering your plant. If your mallow is planted in a location that is prone to runoff, consider installing a drainage ditch.